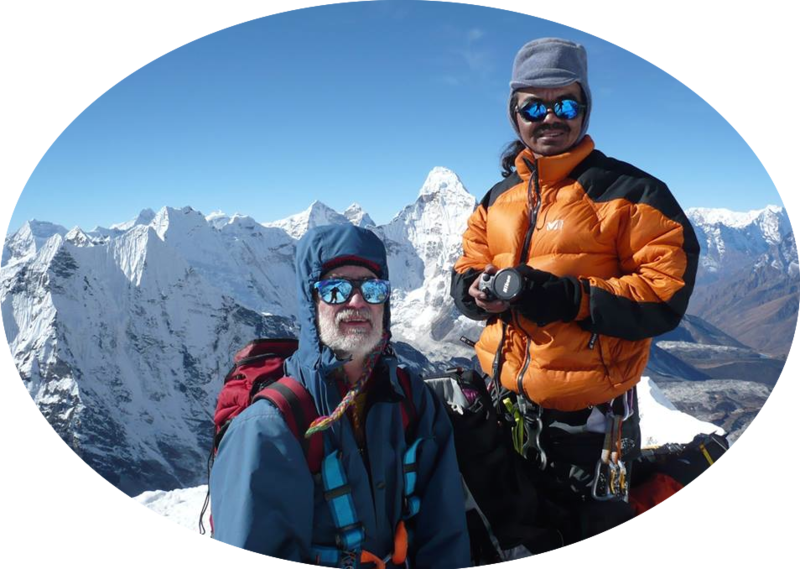 Located on top of the Chukung glacier between Ama Dablam and Lhotse Mountains , Island Peak is the most sought after trekking destination because of its challenging geographical conditions. Each year more than 300 groups attempt to scale the summit of Island peak. This trek offers an excellent opportunity to climb a Himalayan Summit [6183m] together with an exhilarating Trek to the Everest Base Camp and Kala Pattar. The most difficult section is a mixed rock and ice wall at a slope of around 45 degrees leading to the narrow summit ridge. The magnificent views from the summit, however, are certainly a fitting reward for your efforts. Before climbing Island Peak , we trek up the Dudh Kosi valley from Lukla, passing through Namche and Tengboche on our way to Kala Pattar and Everest Base Camp. After being rested and feeling physically fit and acclimatized, we then head up the beautiful Imja Khola valley towards Island Peak . Besides trekking adventure, we also get to witness pristine Sherpa villages and ever-so-serene monasteries. With ponderous memories of the trekking earlier done, we retrace our route back through Namche to Lukla, and from there on we fly back to Kathmandu . This trip can be done during March to May and September to December. • 3 nights' accommodation at 3 star hotel in Kathmandu on double room sharing with breakfast. • Insurance for all staff & porters, Rope, Ices crow, Snow bar and Gamow bag (altitude chamber). • Lunch & dinner in Kathmandu .